Armor was not solely for wearing into battle. Victorious battalions were often paraded through the streets, and for such an occasion, parade armor, like this finely detailed Austrian Soldiers Parade Cuirass, was worn, to make a more impressive impression. Parade armor, unlikely more traditional suits of armor, was worn only for special occasions, making it a special suit that was usually reserved only for public appearances. 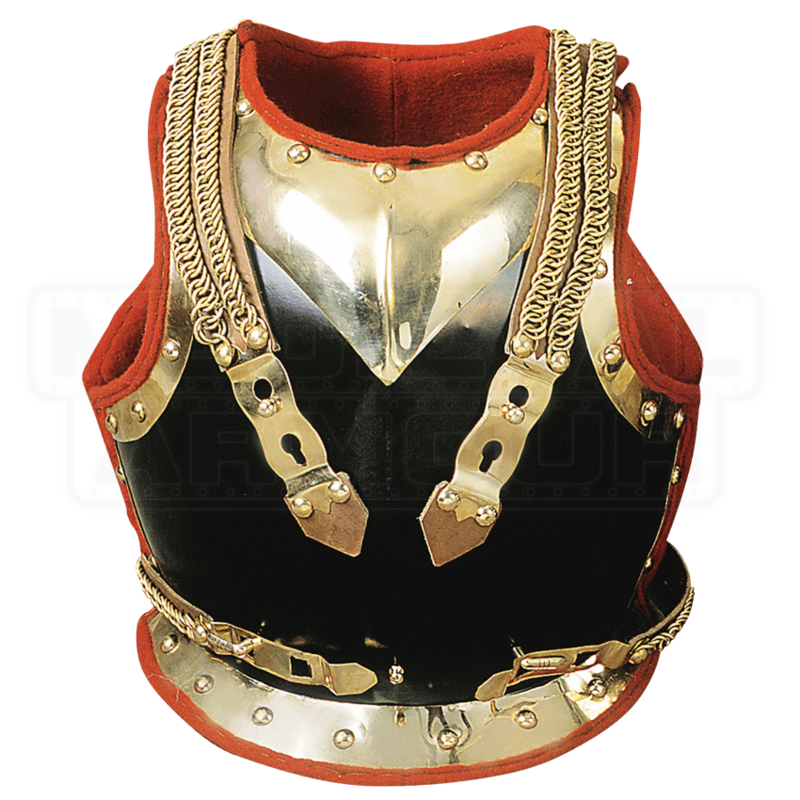 This armor is crafted entirely from 18 gauge mild steel and accented with rich brass adornments, including over-the-shoulder mail-link decorations and matching bands that wrap around the waist. The edges of the armor are lined with red fabric as well, which extends across the interior to make for a more comfortable fit. 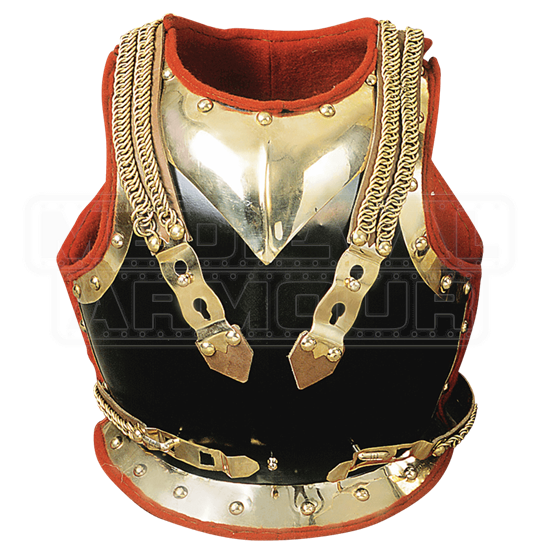 The cuirass consists of both a breastplate and a back plate, both of which feature a padded internal lining. 18 gauge construction makes this armor perfect for costuming and casual wearing, as well as a possible armor for LARPing or light stage combat. One thing is for certain, though, and that is that this Austrian Soldiers Parade Armor is certainly designed to make an impression, and given its ornately detailed look, we can bet that it will do just that, no matter when you wear it. One size fits most. Fits up to a 46 Inch Chest.